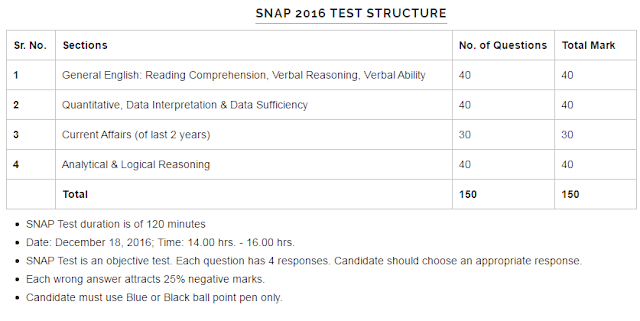 www.snaptest.org is the official website for Symbiosis National Aptitude Test (SNAP) Exam / Test 2016 Online Registration,Payment, Download Admit Card, Test Cities, Syllabus, Test Pattern etc. 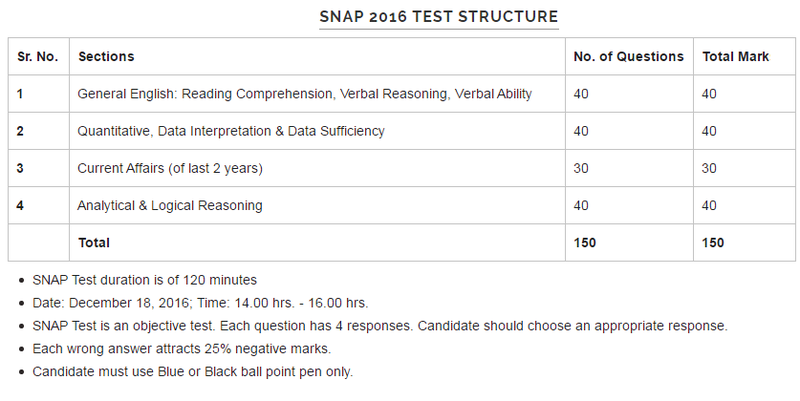 How to Apply for SNAP Test 2016? Fees Payment can be done through Debit or Credit Card, Internet Banking, Bank Chalan of Axis or Indian Bank (Send the Stamped Symbiosis Copy to the address below) or through Demand Draft (in favor of "Symbiosis Test Secretariat" payable at Pune.) 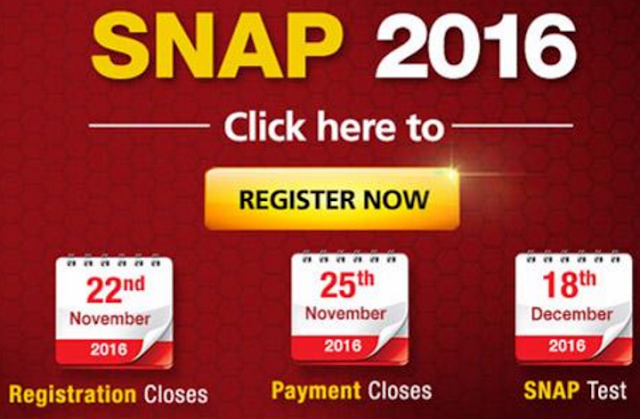 DD should be Send along with Payment Advice Form available in the Website to the address given below so that it should reach 17th December 2016. 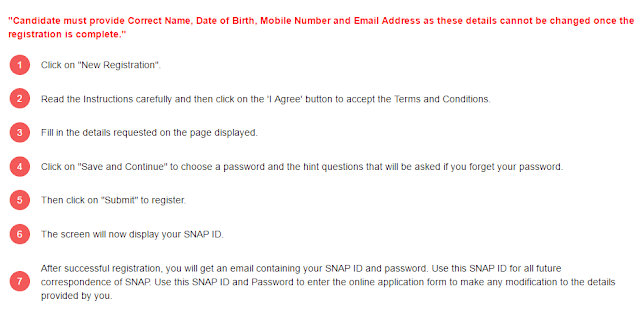 Admit Card can be Printed from the Website on specified date. Bring Admit Card along with Photo ID Card while coming for Exam. 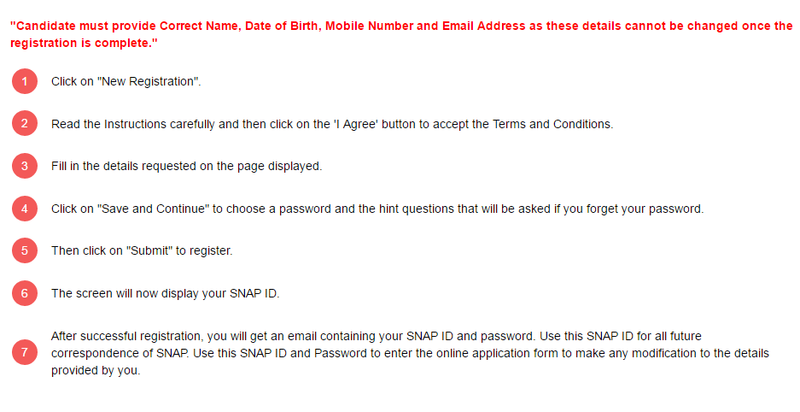 Affix Passport Size Color Photo in the Admit Card before coming.